Welcome to the Ultimate Chupacabra Quiz! Test your knowledge of one of the world's top cryptozoology stars with this quiz for fun and prizes. Yes, from now until January 1, 2012, you have a chance to win chupagoodies with your knowledge of this vampire beast. The Grand prize is a signed copy of my highly-regarded book Tracking the Chupacabra: The Vampire Beast in Fact, Fiction, and Folklore (for those who answer all 20 questions correctly). First Prize is a Limited Edition signed and numbered 4 X 6 photo of the Cuero chupacabra (for those who answer 15 or more of the questions correctly). To enter, e-mail a screen capture of your final score to this address, along with your mailing address. Contest is open to the first 100 winners in either category. Click "continue reading" to take the quiz! Which podcast is Tracking the Chupacabra author Benjamin Radford co-host of? Where was the chupacabra first sighted? In which U.S. state was the chupacabra first reported? Which city in Puerto Rico is claimed to have experienced chupacabra-like animal attacks in the 1970s? Which tabloid ran the majority of stories about the chupacabra in the 1990s? In what year did Phylis Canion declare the “Summer of the Chupacabra”? What did DNA tests of the Elmendorf Beast reveal? What became of the chupacabra found in Blanco, Texas? How did Jerry Ayer come to own the Blanco chupacabra? In a 2010 interview, what film did eyewitness Madelyne Tolentino say the chupacabra that she saw remind her of? What did DNA tests of the Cuero chupacabra reveal? How did the Blanco, Texas, chupacabra die? Which famous artist can it be said “designed” the Puerto Rican chupacabra? Jon Downes, head of the Centre for Fortean Zoology, believes that what animal was responsible for the majority of mysterious predation in Puerto Rico during the 1990s? Loren Coleman traces the name chupacabra back to which classic television show? According to the most famous and detailed description of the Puerto Rican chupacabra, what anatomical feature did the monster lack? Benjamin Radford searched for the chupacabra in the jungles of which country? 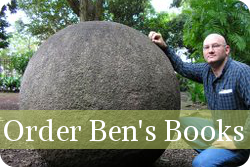 Which continent has Ben Radford NOT visited in search of monsters?